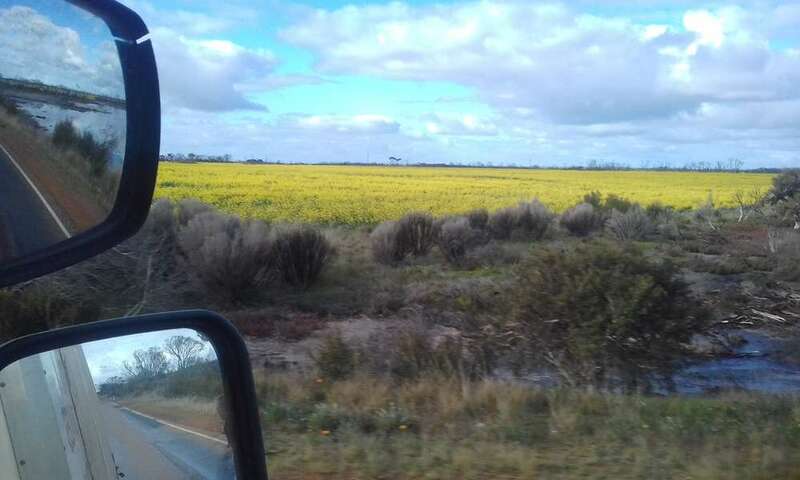 Went for a drive from kalgoorlie to esperance today for work . Crops seem to be doing well. Hopefully they will get some bumper crops. The wheat is growing nicely and the cannola crops seem to be doing well. Was listening to a farmer on the radio the other day, was a very happy man. His dams are all full and crop is going very well. Strange world at the moment, a few years back the east coast got inundated with water and the west was dry as a bone, this year it seems to have reversed. went to esperance again saturday . still plenty of water sitting around so im guessing the ground would be waterlogged. the crops are going great .